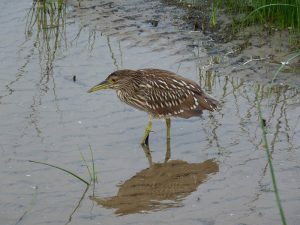 Two fresh juvenile Black-crowned Night-Herons were at Montrose this morning, July 22. 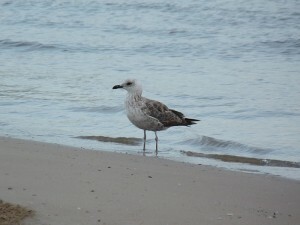 Both birds were feeding in the inlet next to the fishing pier on the beach. Black-crowned Night-Herons breed at several locations in the Chicago area. This entry was posted in Summer Bird Reports and tagged Black-crowned Night-Heron, Herons on July 22, 2016 by rhughes. 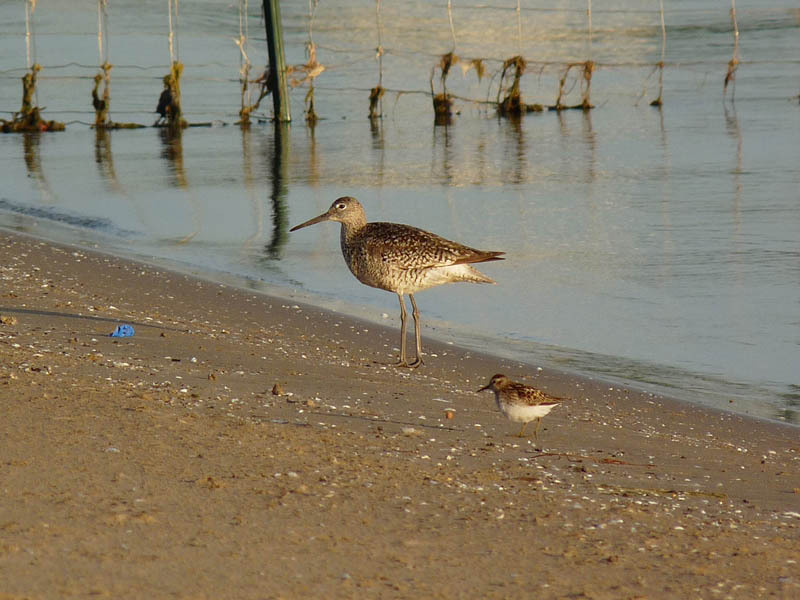 Willets are on the move through the Chicago area. 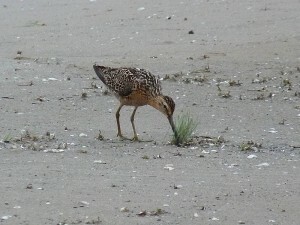 I had this adult inside the protected area on the beach this morning, July 13. 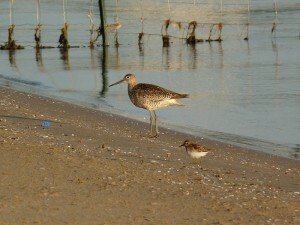 The other bird in the photo is a Least Sandpiper. This entry was posted in Summer Bird Reports and tagged Shorebirds, Willet on July 13, 2016 by rhughes. 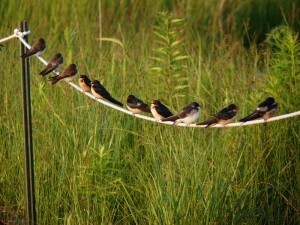 Large numbers of swallows of several species are using Montrose Dunes for feeding and resting. This happens every year in mid summer and lasts only a few weeks. The swallows like to perch on the rope that cordons off the protected areas of the Dunes. 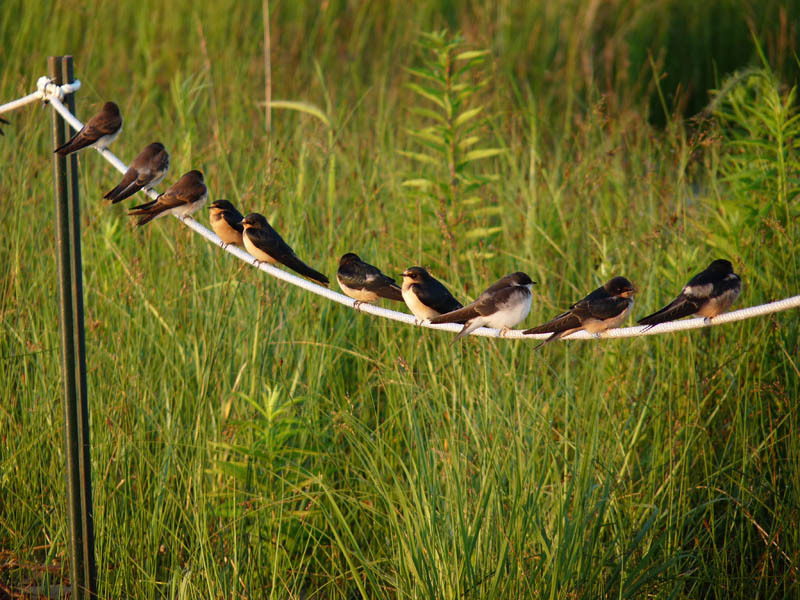 The majority are Barn, Tree, and Northern Rough-winged, but a few Bank and Cliff Swallows are also seen. Most are probably local nesting birds and include many fresh juveniles. For some reason Purple Martins don’t perch on the rope but they do use the Dunes for feeding. This entry was posted in Summer Bird Reports and tagged Summer Swallows, Swallows on July 13, 2016 by rhughes. One doesn’t think of July as a good month for unusual gulls, so this second cycle Lesser Black-backed Gull was a nice surprise. 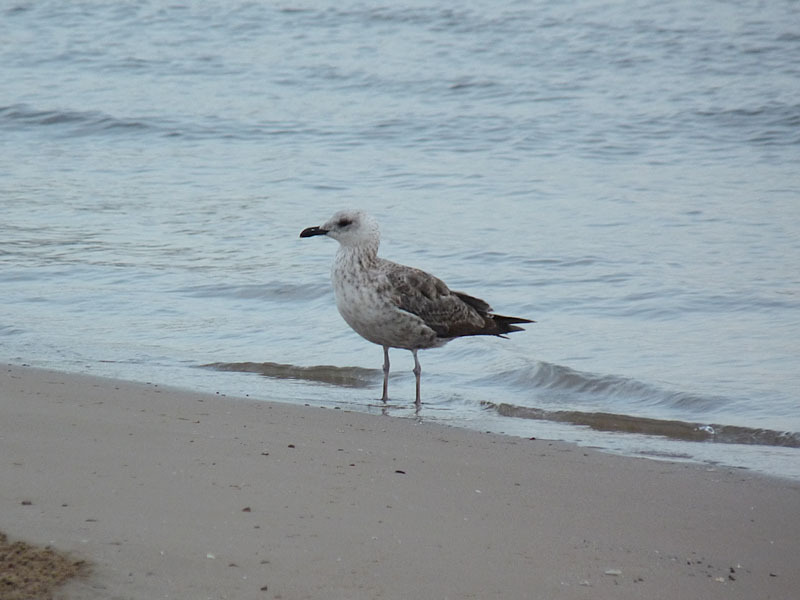 This entry was posted in Summer Bird Reports and tagged Gulls, Lesser Black-backed Gull on July 11, 2016 by rhughes. Juvenile birds are everywhere at Montrose, begging for food, following their parents, etc. The young of Tree, Barn, and Northern Rough-winged Swallows, Red-winged Blackbirds, Common Grackles, and European Starlings are especially obvious. The swallows like to perch on the rope that marks off the protected areas in the Dunes. 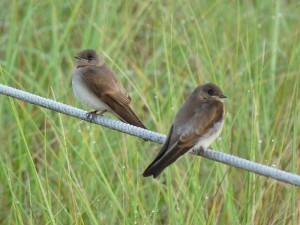 These 2 juvenile Northern Rough-winged Swallows were taking a break from the hard work of being kids. This entry was posted in Summer Bird Reports and tagged Swallows on July 8, 2016 by rhughes. This entry was posted in Summer Bird Reports and tagged Shorebirds, Short-billed Dowitcher on July 7, 2016 by rhughes.